Saturday the 2nd Of December we are heading for an action-packed day out. Why not join us? First stop off is Christkindelmarkt market in Leeds followed by The Emmerdale Studio Tour! Christkindelmarkt is Leeds' annual German Christmas market. 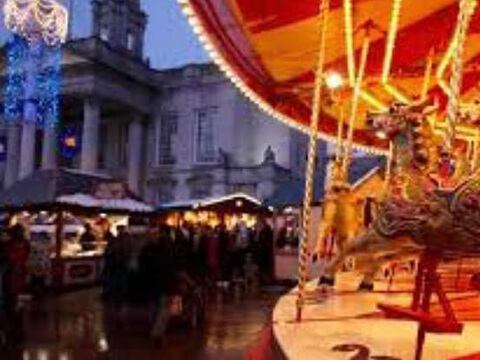 It brings the authenticity of a German market into the heart of the Leeds city centre. The Millennium Square has once again be transformed into a scenic winter village showcasing a traditional carousel, a variety of authentic wooden chalet stalls and cosy indoor retreats. Also featuring a daily programme of light entertainment. A must-have for all Emmerdale fans! as you will discover behind-the-scenes secrets. 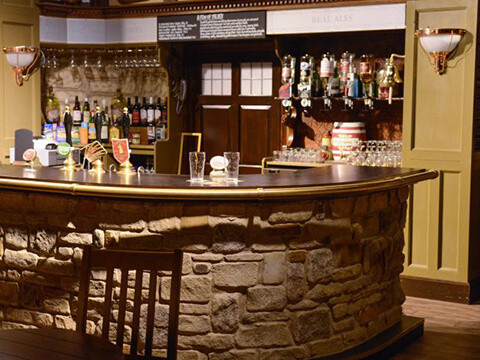 The Emmerdale Studio Experience showcases the entire ‘lights-camera-action’ process of what goes into making the award-winning soap. Get exclusive insights into how the cast and crew reveal the plots and capture the dramatic stunts you see on screen. Spend a few hours here including a fully guided 80-minute tour, which consists of a variety of interactive experiences. How talented are you in lighting or editing? There is also a lovely gift shop where you can get authentic Emmerdale merchandise and a café to enjoy coffee, tea or even some delicious locally sourced cakes. The coach will depart for home approximately at 5:30pm and our driver will inform you of your arrival time at your drop off point. All this for £35 per person including admission. You can book your place please by phoning us on 01942 247703.